Livingston is a beautiful town in Polk County, Texas. Located about 75 miles north of Houston, this community spans 8.4 square miles with over 5,000 people populating the area across the 77351 and 77399 zip-codes. Livingston is home to the Alabama-Coushatta Reservation and was first named “Springfield” in 1835; the town finally became Livingston in 1846. This county seat is the site of the First National Banka and the First State Bank Headquarters and is also home to Lake Livingston and Lake Livingston State Park which is an oasis in a city. 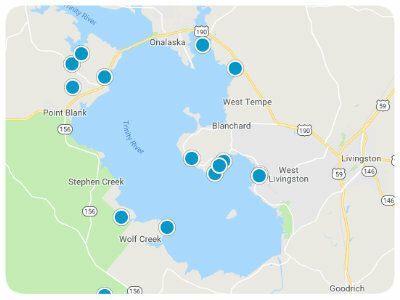 Along with boating and fishing on Lake Livingston, Livingston also offers homeowners recreation through bowling, Fun-Runs and 5Ks, community holiday events, and entertainment at Pedigo Park and Matthews Street Park. Camping is a prominent activity in town as the natural beauty of the area is a pique of interest for many, and the Livingston Municipal Golf Course attracts avid players from all over. 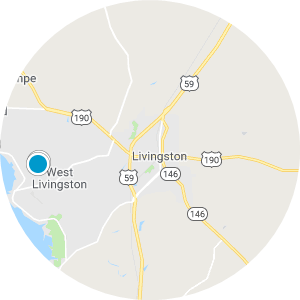 Homes for sale in Livingston, Texas come in a variety of styles and sizes with wood, brick, and stone exteriors, multi-car garages, and acreage. Open floor plans consist of between three and five bedrooms and as much as 3,000 square feet of living space. 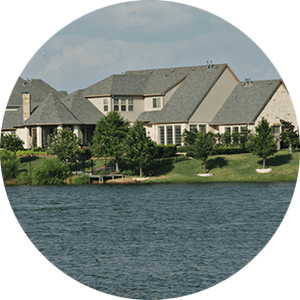 Waterfront homes for sale in Livingston enchant homebuyers, and houses set in the woods are equally as beautiful with the added benefit of privacy. 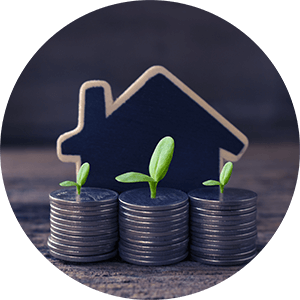 If you are interested in purchasing affordable Livingston real estate in Texas, please contact us today. Waterfront Homesite in Gated Community. Central utilities available. Located on protected cove. Subdivision offers many amenities. Beautiful neighborhood to build you own home on this beautiful lot. 2.5 Miles from down town Livingston with concrete curbed streets. Come build your dream home today.